1. Acknowledgment of Risk: I recognize the fact that there is an inherent danger in participating in equestrian events, including but not limited to death or injury resulting from (a) riding, jumping, or other activities associated with horses; (b) colliding with fences, or other obstacles (c) slips, falls, or exhaustion. I have fully investigated the equipment/course/facilities and as a result of my personal investigation, I acknowledge that I am aware that there may be dangers, and that myself and/or my horse may suffer injuries as a result of their participation in them. I understand that no amount of care, caution, instruction, or expertise can eliminate this inherent danger. 3. Release Provision: I understand and agree that I am assuming full responsibility for any and all death, illness, injury, and property damage and/or loss that I and /or my horse may suffer, in connection with any and all London Dressage Association activities in which I may participate in, including, but not limited to death, illness, injuries or property damages and/or loss arising from, among other things, negligence or carelessness of the part of London Dressage Association. I agree that this release constitutes a complete release, discharge, and waiver of any and all actions or causes of action against London Dressage Association. I agree that I, my heirs, assigns, personal representatives, guardians and estate will not make a claim against, sue, attach the property of, or prosecute London Dressage Association, for injury or damage resulting from negligence or other acts, howsoever caused. 4. Indemnity Clause: I hereby indemnify and hold harmless London Dressage Association from any and all liabilities or claims made by other individuals or entities as a result of any of my actions or my horse’s actions while I am engaged in any London Dressage Association activity including any litigation, expenses, attorney’s fees, loss, liability, damage or cost which may occur as a result of any such claims. Should London Dressage Association, be required to incur attorneys’ fees and costs to enforce this agreement, I agree to indemnify and hold them harmless from all such fees and costs. 6. Governing Law, Jurisdiction, and Severability of Provisions. This Assumption of Risk and Release of Liability shall be governed by laws of the Provence of Ontario and construed broadly to provide a release and waiver to the maximum extent permissible under applicable law. In the event that I file a lawsuit against London Dressage Association, I agree to do so solely in the Provence of Ontario. I agree that if any portion of this Waiver and Release of Liability is held to be invalid, the rest shall nonetheless remain in full force and effect. BY SIGNING THIS DOCUMENT, I ACKNOWLEDGE THAT IF ANYONE IS HURT OR PROPERTY IS DAMAGED DURING MY PARTICIPATION IN A LONDON DRESSAGE ASSOCIATION ACTIVITY, I MAY BE FOUND BY A COURT OF LAW TO HAVE WAIVED MY RIGHT TO MAINTAIN A LAWSUIT AGAINST LONDON DRESSAGE ASSOCIATION ON THE BASIS OF ANY CLAIM FROM WHICH I HAVE RELEASED THEM HEREIN. 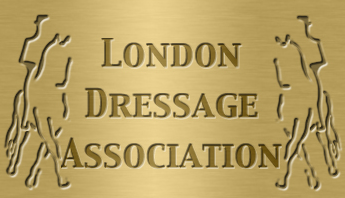 IT IS THE INTENTION OF THE UNDERSIGNED TO EXEMPT AND RELIEVE LONDON DRESSAGE ASSOCIATION AND ASSOCIATED PARTIES FROM LIABILITY FOR PERSONAL INJURY, PROPERTY DAMAGE, OR WRONGFUL DEATH. I HAVE CAREFULLY READ BOTH PAGES OF THIS AGREEMENT AND FULLY UNDERSTAND ITS CONTENTS. I AM AWARE THAT THIS IS A RELEASE OF LIABILITY AND A CONTRACT BETWEEN LONDON DRESSAGE ASSOCIATION AND I AND AFFILIATED PARTIES AND I SIGN IT OF MY OWN FREE WILL.